In New Zealand, we are in a housing crisis throughout the country with residents being priced out of the housing market and finding that available housing is inadequate for their needs. There is social housing for those at the lowest earning level while some can still afford to buy within the market, but there is a growing number of people who fall outside of these options — who need intermediate housing options. Working New Zealanders need more solutions than just waiting for developers to build more homes they can’t afford. In addition, many people are also saying they feel isolated in the conventional suburban neighbourhood – people want to feel more connected within their neighbourhoods and have more sharing and connected living opportunities. Collect information needed for housing and urban development policy reform such as what working people need and want in terms of housing and neighbourhoods: finance, design, accessibility, etc. There will be series of dynamic presentations covering a wide variety of affordable housing and connected living models and a chance to ask questions of the presenters during a panel discussion. Some of the topics include: co-housing, pocket neighbourhoods, community land trust, ecological rural communities, the tiny house movement, local innovative housing developments, financial and legal models that enable community-led housing, and more. After the formal event proceedings there will also be an opportunity to network and have further dialogue about how to take these ideas further. Welcome Neighbours! What would make living in your neighbourhood more awesome? Let’s co-create our dreams… This is event is to celebrate our diversity and our many cultures, vision our positive future, build on our strengths, find ways of working together, craft solutions for our challenges, create an inclusive, vibrant, abundant community. You’ll leave feeling inspired, delighted, and connected. Bring your favourite family or cultural dish to share in a potluck meal. After dinner, get ready to jump into the community-building activities and discussions. Children under 12 will be offered a special children’s programme. Four Events held around Hamilton. You’re invited to attend the one closest to you. This event is a collaboration between Shama and the area community houses. For more information, email Sam or call 027 843 3002. This projects aims to create an avenue for permanently affordable home ownership through a Community Land Trust—which would be the first of its kind in New Zealand and which would set a precedent and road map for other communities to create CLTs for permanently affordable housing. With sound policy and effective action, we can shape our communities to be equitable and filled with opportunity for all. As neighborhoods grow and change, we can make sure that happens in a way that is good for the people who live there. Affordable home ownership ensures that families can put down roots without fear of being forced out and that people who are providing essential services can also live in the communities they serve. Strong communities have diverse housing options for a variety of incomes, offering choice and opportunity for all residents. Outcomes of the project include a legal, financial, and policy framework for a CLT in Hamilton, guidelines for creating a working CLT board made of up homeowners, members from the community and representatives from community organisations, identifying possible parcels of land and avenues for acquisition including possible re-zoning, defining the house typology and a methodology for membership and steps to home ownership. 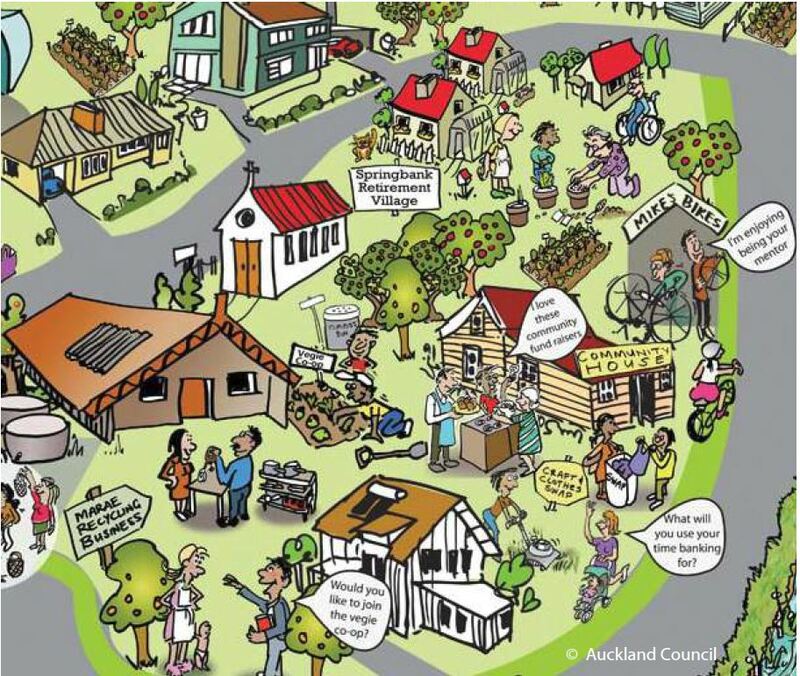 Shama is looking to partner with families interested in affordable housing, developers, funders, housing researchers, community-based organisations, and town planners to collaboratively create the first CLT in New Zealand. raising the ethnic community profile and developing a positive ethnic youth media strategy. Shama’s Community Development Worker (CDW) aims to provide these opportunities.